Guess what guys? I did not forget about you! And I did not forget about my blog, even though it kinda seems like I did. I promise I won't leave you guys like that again. Life has just been busy, busy, busy! I had to work tons during Mother's Day weekend (I'm a waitress) and today was my very much needed day off. I got to hang out with my husband all day and go to dinner with him. I also snuck in some shopping while we were out since I'm clever like that. While we're on the subject of shopping can I just say how much I love this cute top from August Wrinkle? They have some super cute tops and dresses that are just perfect for sprucing up your summer wardrobe. I currently have my eye on this and this. Today I am co-hosting over with Kristen from the Mrs. and the Momma. She was nice enough to let me co-host the Best of Style link up that she does every Friday. 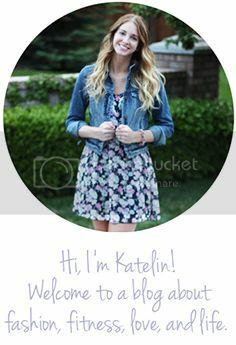 Make sure you take a looksie at her cute blog and all the outfits that other bloggers link up. I love looking at all the outfits for inspiration and pieces that I need want to add to my closet. Next Friday, I will be picking my favorite five looks so make sure you link up! 1. Link up to ANY and ALL style-related posts...these can be curated fashion posts, outfit posts, etc. They do Not have to be in line with the BEST OF theme of the week. 2. Please be a follower of The Mrs. & The Momma & My Wardrobe Staples. 4. Link up with your post with your blog name, not your post title. New follower:-) Thanks for hosting the linkup! Thanks so much! These glitter sandals are my favorite!! Love the sandals ;) Thanks for linking up with us this week! Loving your top and sandals! Your outfit is so cute! Congrats on being co-host for the link up! That's such a classic outfit! I love pastels and black together. Thanks for linking up with Friday's Five, hope to see you back again this week!